Medha Kapur from Saffronart on ‘Gandhi’s Three Monkeys’ by Subodh Gupta installed at Katara, the Cultural Village. 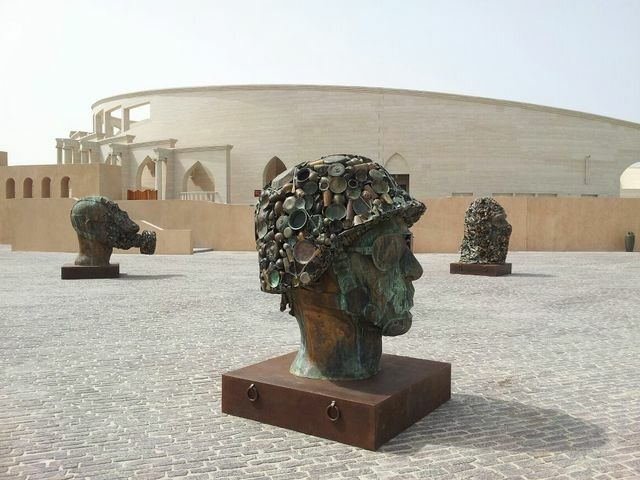 Qatar: The sculptures ‘Gandhi’s Three Monkeys’, 2008, made by Indian artist Subodh Gupta have been installed at Katara, the Cultural village in Qatar. 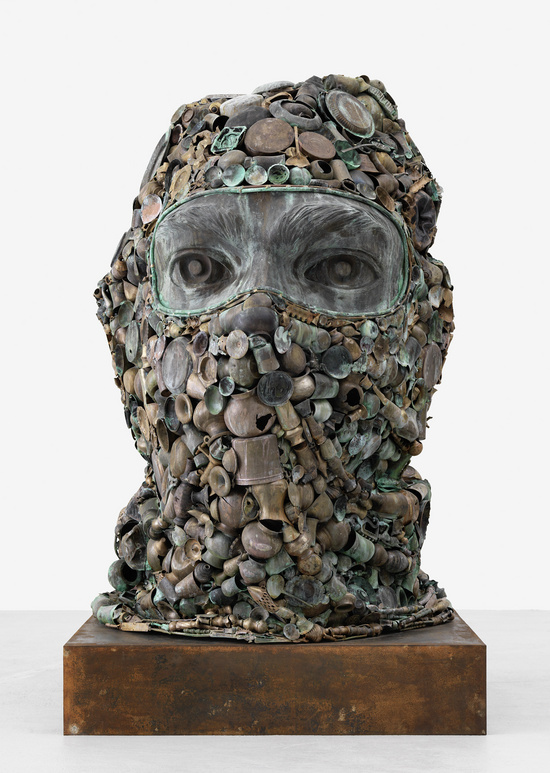 Subodh Gupta is best known for incorporating everyday objects related to Indian life including domestic kitchenware and means of transport such as bicycles & scooters. The three sculptures are made from bronze, steel, and old utensils. 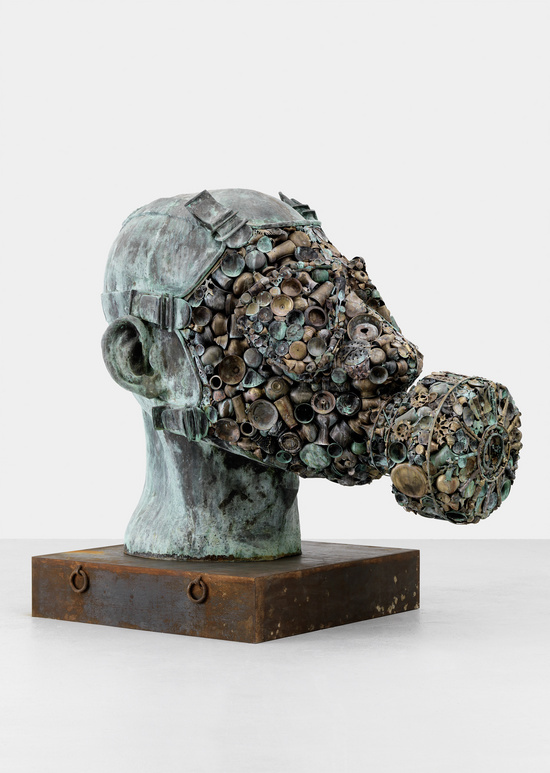 The three installations portray a human head with different head gear. 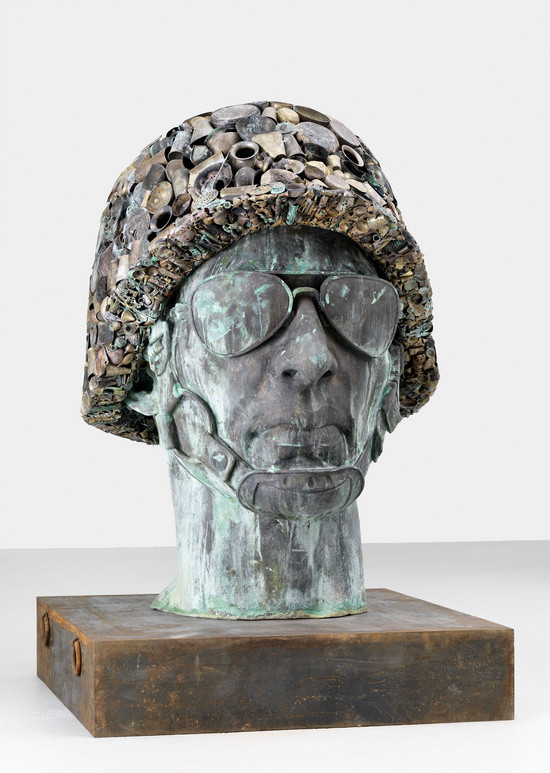 One wears a soldier’s helmet, the other a terrorist’s hood and the third a gas mask symbolizing war and peace, public and private, and global and local themes. The sculptures are a visual metaphor of Mahatma Gandhi’s “Three wise monkeys”, representing the Japanese proverb “see no evil, hear no evil, speak no evil.” Click here for more information.